In 2015 pubs in Britain were closing at a rate of 29 a week. That equates to 1500 pubs closing in a 12 month period. 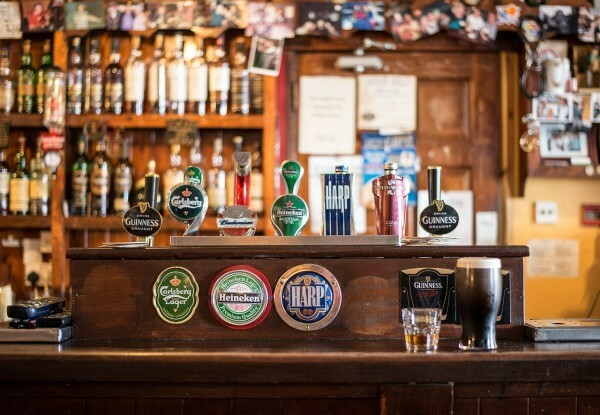 The decline of the British boozer has been blamed on supermarkets and changes in the nation’s drinking habits, but it still remains an asset to a community and is a popular place to spend leisure time with friends. A well-run pub can be a vibrant, busy neighbourhood hub, but it’s not as simple as just serving good beer or having friendly bar staff. You’ll need to work hard to succeed, especially in today’s economic climate. Ask any publican and they will tell you that the reality is you work long hours, 7 days a week and, in most cases you probably only close for one or two days a year. That’s a lot of hours in anyone’s book and to top it all off your expected to smile and listen to your punters tell you about how hard a day they’ve had! One way to overcome this is to go into partnership with someone so that you can share the duties and take time off. You’ll need a broad skillset as your job will range from keeping books, to purchasing stock, cooking, cleaning, hiring staff and marketing. You may not need to do all of these jobs all of the time, but even if you don’t do food or have a chef instead of being in the kitchen yourself you’ll still be in charge of the decisions in all areas of the business. Food is a key consideration and potentially a good way to build a great reputation. Whether you are looking to operate as a gastropub or offer traditional home cooked pub grub make sure you set the bar high and try to source local and seasonal ingredients where possible to keep your customers satisfied. Be sure to keep track of wastage and gross profit, as a poorly managed kitchen will struggle to turn a profit even if the food you serve is fantastic. You won’t be able to be on duty every hour of the day so ensure you employ staff who are enthusiastic and willing to learn. The right attitude is more important than experience as you can train people in areas that are unfamiliar to them, developing their skills and investing in their future. It will pay dividends in the long run knowing that you have a team you can trust. Running a pub is a complex business and requires a lot of paperwork and the filing of annual accounts. You obviously also need to ensure that you have a licence to serve alcohol and fully understand the law regarding who you can serve and who is allowed on the premises. You need to make yourself aware of counterfeiting and ensure that you keep all receipts so that you can prove where and when you purchased stock. You must also ensure that you are covered with public liability insurance, and also insure your premises, furnishings and stock. High rents mean that you will need to be turning over a good amount of money each week and knowing where your break-even point is will help you manage staff wages and stock costs. It’s all well and good having a great selection of well-kept ales and a menu that makes your mouth water, but you’ll need to make people aware of it and that means getting them through the door. A website or a page on social media that is regularly updated to keep customers aware of your events and offerings is a great tool and needn’t cost you anything, but is a good way to advertise. Although it’s a tough industry to succeed in, running a pub can be an immensely rewarding and challenging career and there are plenty of regional breweries who will give you support as a tenant and plenty of microbreweries offering a great range of local beers for freehouses. More advice can be found on the excellent Howtorunapub.co.uk website. Nick Watson is the Chief Operating Officer of Broker Power, which provides pub insurance to UK public houses and bars. Previous : Why Your Business Needs More Bandwidth Than You Think?